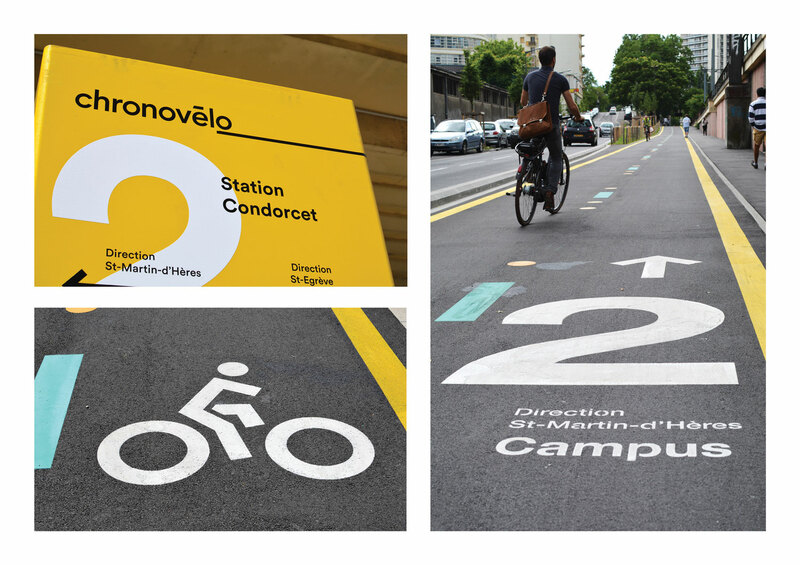 The city of Grenoble asked us to design the identity of its new bicycle network, Chronovélo. This infrastructure provides protected bike lanes to existing and future cyclists, with the objective of tripling bicycle use by 2020. 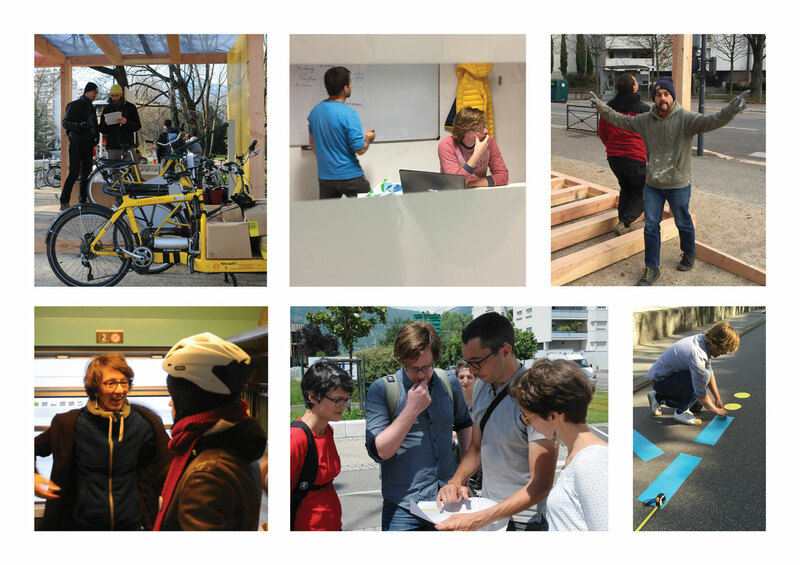 Establish the city of Grenoble as a leading bike-friendly urban center in Europe. Bring comfort and safety to cyclists and therefore contribute to changes toward sustainable mobility. We created a strong global identity including an intuitive signage system, urban outdoor furniture, and inclusive services for cyclists. We worked in close relationship with diverse stakeholders (public institutions, professionals, users). The graphic design is based on a simple logo, bright colors, a clear and legible typeface and a series of pictograms. This project was done by SuperVitus305, a group of designers and experts dedicated to sustainable mobility. The identity was created in partnership with Kevin Kristen.